Posted on 02/12/2018 by Mickey McCarter	in Around Town and tagged book talk, comedy show, Eddie Izzard, Frederick, Weinberg Center for the Arts. “The show was developed to support the book, but now it seems the other way around,” remarked Eddie Izzard to a full house at Weinberg Center for the Art in Frederick, Maryland on Thursday. Eddie was on tour to chat about his life in promotion of his autobiography, Believe Me: A Memoir of Love, Death, and Jazz Chickens, published in 2017 by Penguin Random House. But the tale of his life remains compelling with or without or book, as Eddie recounted highlights with the aid of slides and Google Earth on a spare stage. Honestly, we never discover what are “jazz chickens” now that I think about it, but we learn a lot about the man and how he learned to identify as a woman and simultaneously launched a career as one of the funniest stand-up acts ever to storm England. Born in Yemen to parents who worked for British Petroleum, we follow Eddie’s childhood from there to Northern Ireland to Wales and finally to university in Sheffield. All the while, Eddie has a relatively normal childhood despite the moving and the loss of his mother to cancer at a young age. He has genuine affection for an older brother and the two of them undertake schoolyard competitions and the rest of life as would any healthy young lads at the time. The transgender comic was more affectionate than amusing in his two-hour chat at the Weinberg Center, and a major part of his chat centered on his famous marathon running. He tied that in turn to his inspirational encounters with Nelson Mandela, and how that inspired Eddie to run 27 marathons in 27 days — one for each year Mandela spent as a political prisoner. That experience in particular seems to have sparked a strong desire in him to run for office on behalf of the UK Labour Party in 2020. In another question fielded from the audience, Eddie genuinely responded to a question that voiced gentle skepticism about celebrities becoming politicians (particularly given developments in our own White House). That led to a chain of thought that paved the way for Eddie to close on a powerful statement at the end of his show: Each of us is the center of the world in part because should we travel the globe in any direction to end up back where we began, we would find ourselves at the geographic midpoint of the journey. In thinking about the journey of life in a similar way, Eddie concludes that we are each unique, worthy of treatment as the center of our own universe. 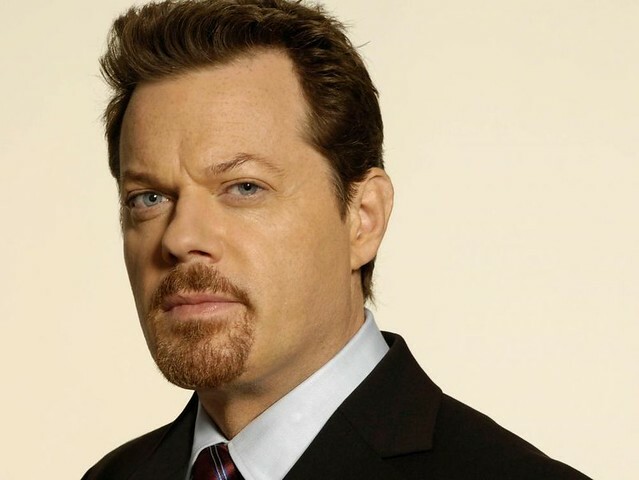 Eddie Izzard takes his life on the road through March 2, when he wraps up in Thousand Oaks, California. (See him as soon as Feb. 14 in Englewood, New Jersey! Many of his remaining tour dates are in California.) You’ll undoubtedly find him as personal and accessible as our audience in Frederick, where he added some old-school charm to an already captivating city. For more information on Eddie Izzard’s biography, including how to buy the book, visit its page at Penguin Random House.